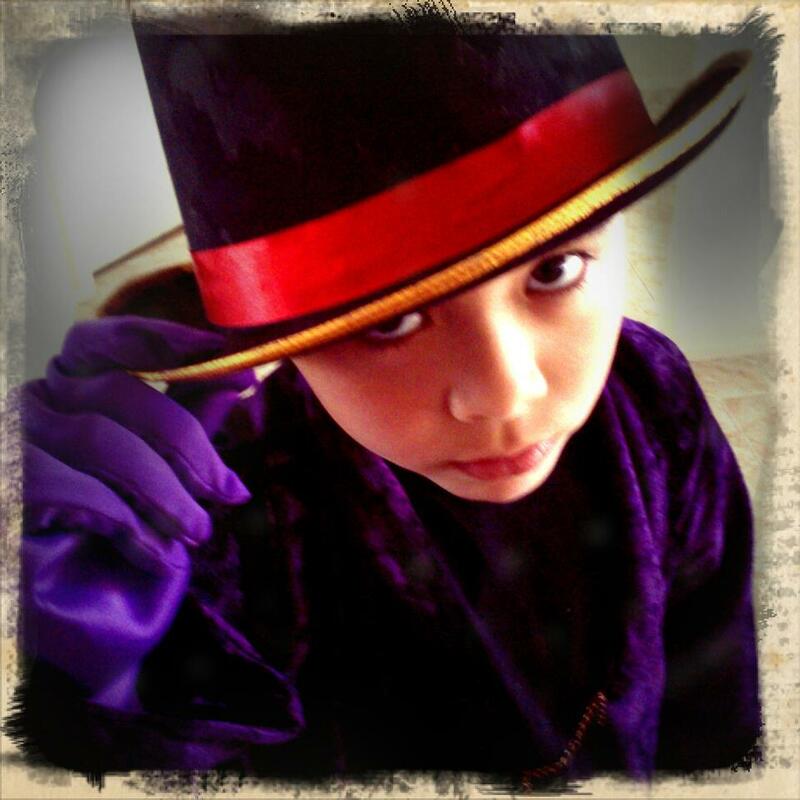 Here is Mr 8 in his Willy Wonka costume I made him for the book - week parade. Altogether it cost about $15. I bought some very cheap purple velvety fabric and simply cut it to match one of his long sleeve t-shirts. Folded back the sleeves to make cuffs and created a collar complete with a little chain (found in bottom of my jewellery box) to hang across. The hat was $3 from the dollar store, it did have silver bats all over it (pre-halloween products in store), which I painted over with some black paint I already had and just added a simple red ribbon stuck on with double sided tape. The gloves were $2 from the same discount store, they were adult size, I simply turned them inside out and sewed them a bit smaller. He wore just a plain black t-shirt underneath and his dark long school pants and black shoes. He also made all by himself five golden tickets from some gold posterboard and a black marker. Looked awesome and he was so happy.